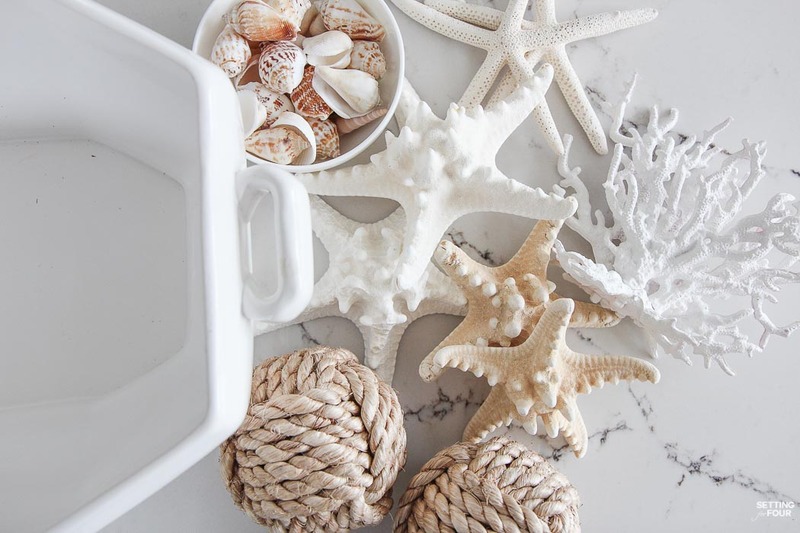 Learn how to make a Pretty Faux Coral & Starfish Coastal Summer Centerpiece that’s quick and easy to put together! This Pottery Barn inspired centerpiece is the perfect table top, coffee table and bookshelf decor for parties, weddings or to update your home for summer. 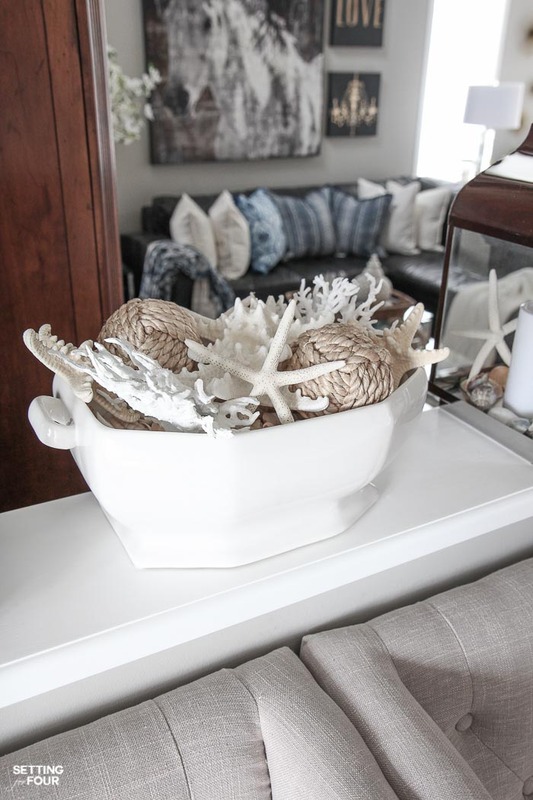 If you love coastal decor and collect shells you’ll love this beautiful sea inspired arrangement! 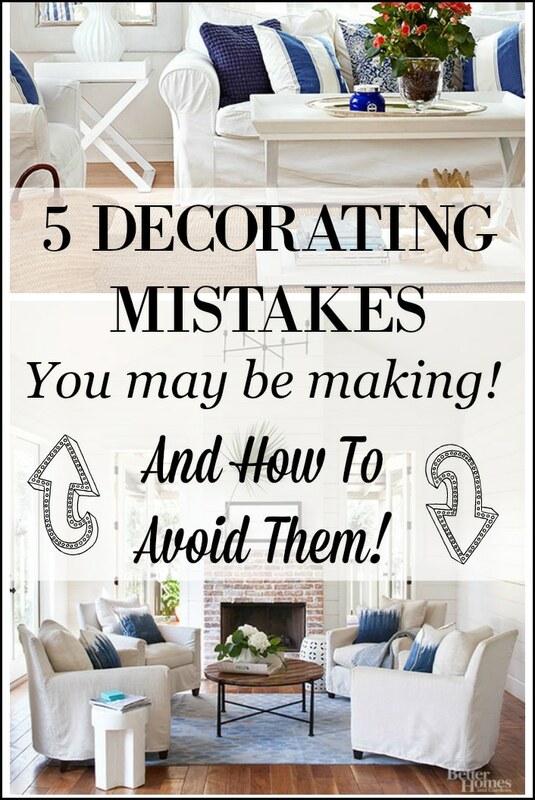 And there’s an exciting treat for all you decor lovers at the end of this post! 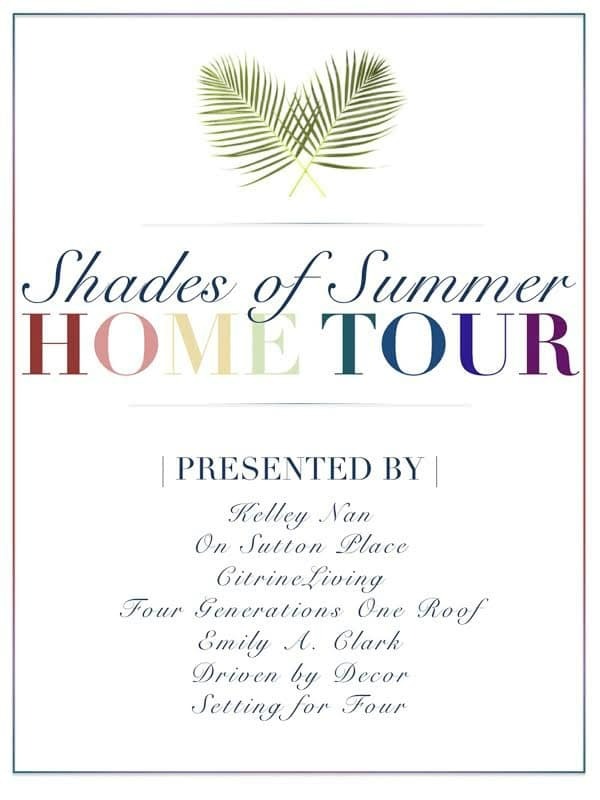 I’ll direct you to the next blogger’s decorating idea in this amazing summer decorating blog hop! 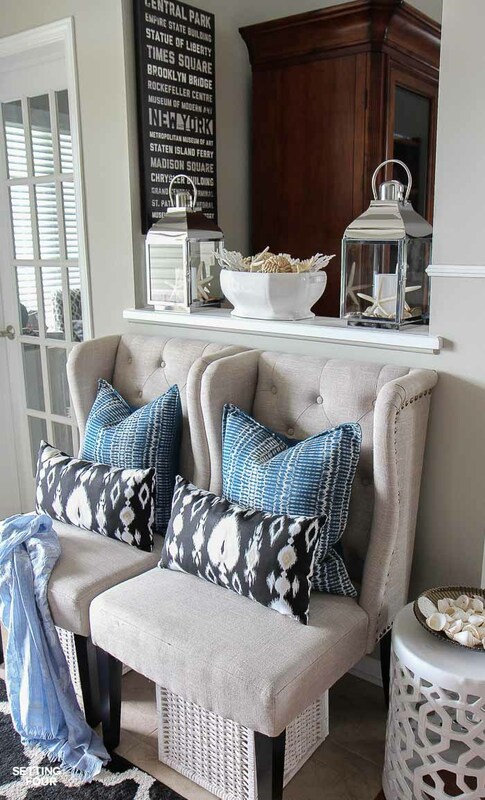 Grab a cup of coffee and enjoy all 14 summer decor ideas. 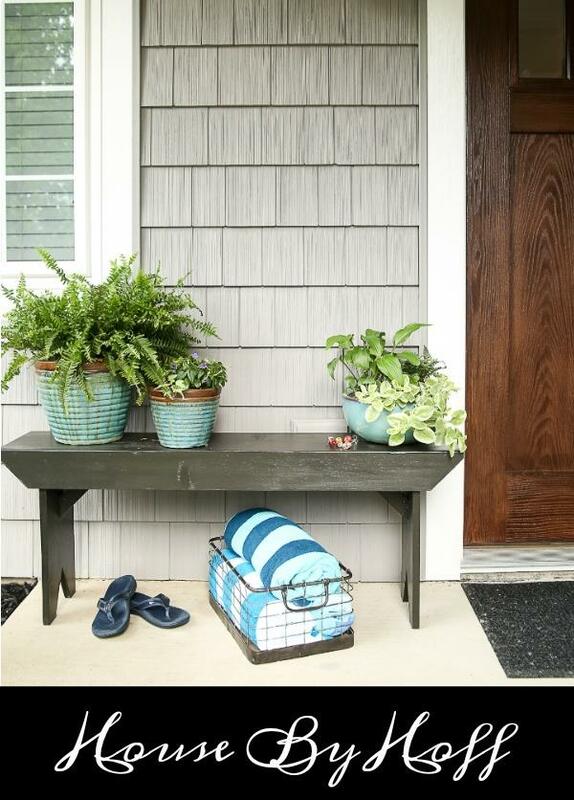 You’ll find tons of ways to update your own home for summer! 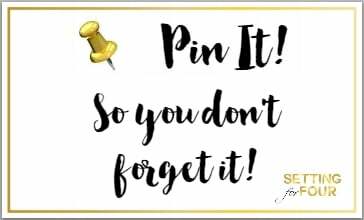 I’m sending a big thank you to Taryn from Design, Dining and Diapers for organizing this amazing DIY summer decor blog hop. 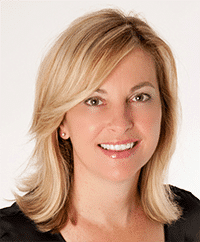 I had the fortune to meet Taryn in person last year at the Better Homes and Gardens Stylemaker event in New York City and she is such a beautiful, kind person – inside and out! If you’re here from Cherished Bliss – HELLO! I’m so glad you’re here! Isn’t Ashley’s summer kids outdoor table seriously amazing? 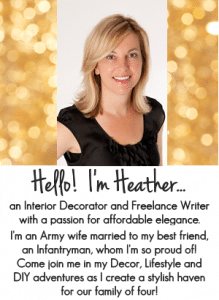 If you’re brand new here to Setting for Four – be sure to read my story where I share my background as a military wife, past career as a Research and Development Microbiologist and the adversity and struggle I faced that led me to a career as a design and lifestyle blogger! Now on to my summer decorating idea! 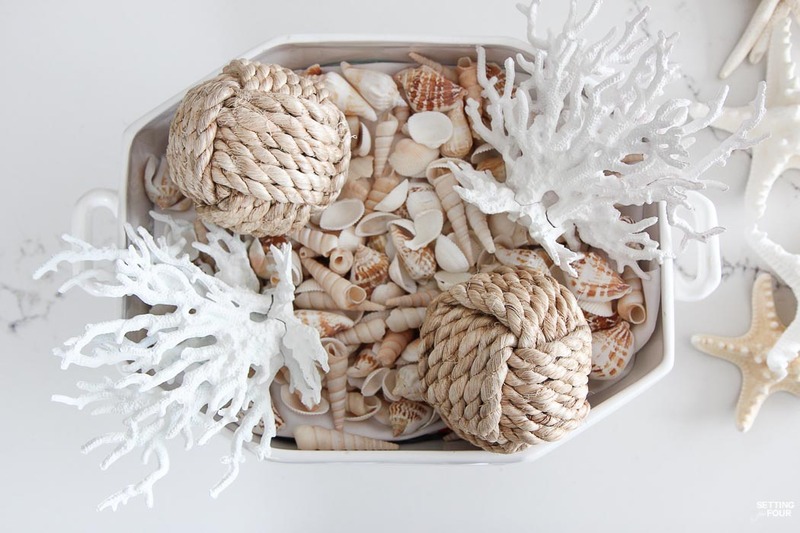 This centerpiece is all about texture, texture, texture and relaxing beachy vibes! 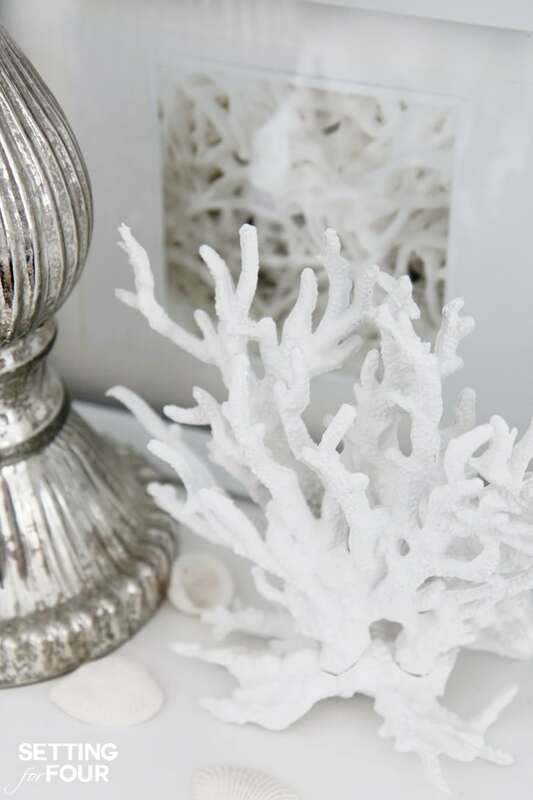 2 Pottery Barn Inspired Faux Coral Accents – see my 10 minute DIY faux coral project with instructions and supply list included! 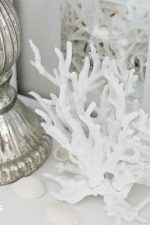 Make 2 Pottery Barn Inspired White Coral Accents – see my 10 minute DIY faux coral project with instructions and supply list included. 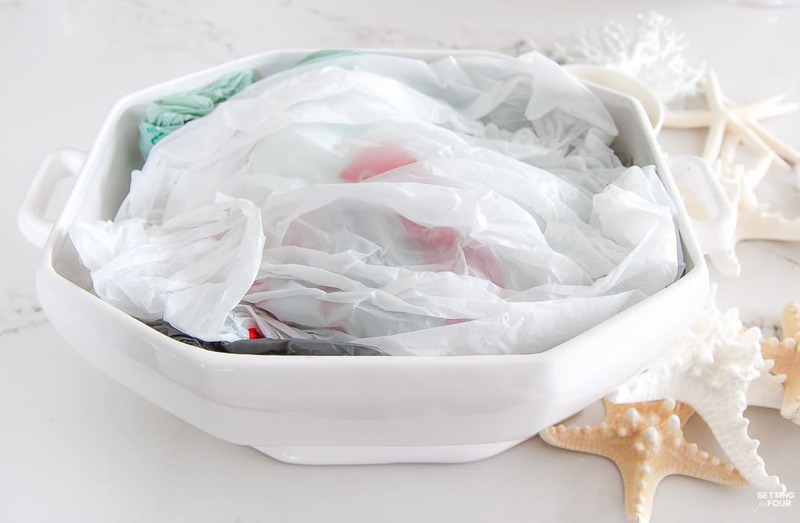 Fill a large bowl or tureen with lots of plastic bags to fill the tureen up as a ‘cheat’ way to use less shells! 3. 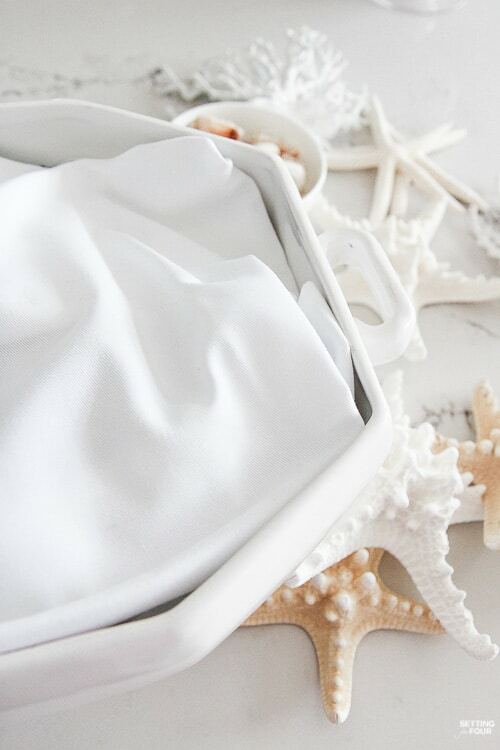 Add a white napkin on top to hide plastic bags. 4. 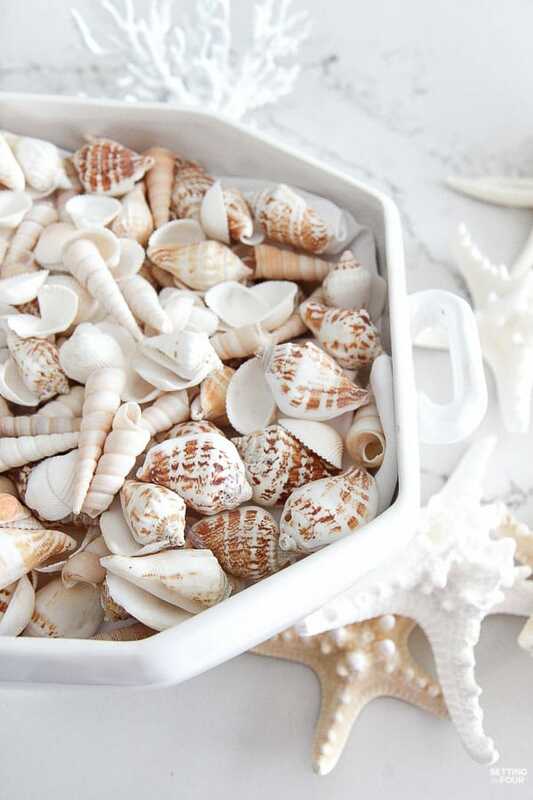 Add shells to cover napkin and act as your centerpiece base. 5. 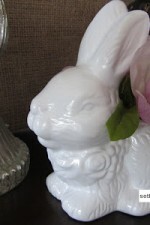 Add 2 white coral accents on opposites sides of the bowl/tureen. See picture below. Lay them on their sides so that they hang slightly over the edge. 6. Add 2 jute knot balls as shown in picture. 7. Press the balls and coral down into the bowl further if they are sticking up too high in the bowl. The plastic bags are great for supporting everything. 8. Fill the bowl with the starfish, tucking them in here and there and overlapping them. 9. Add more shells if you wish. 10. 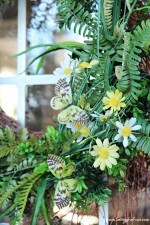 Look at your summer centerpiece from all sides and angles to make sure it looks ‘full’ and not lopsided. By the way you could use any colored bowl. tureen or napkin you want! 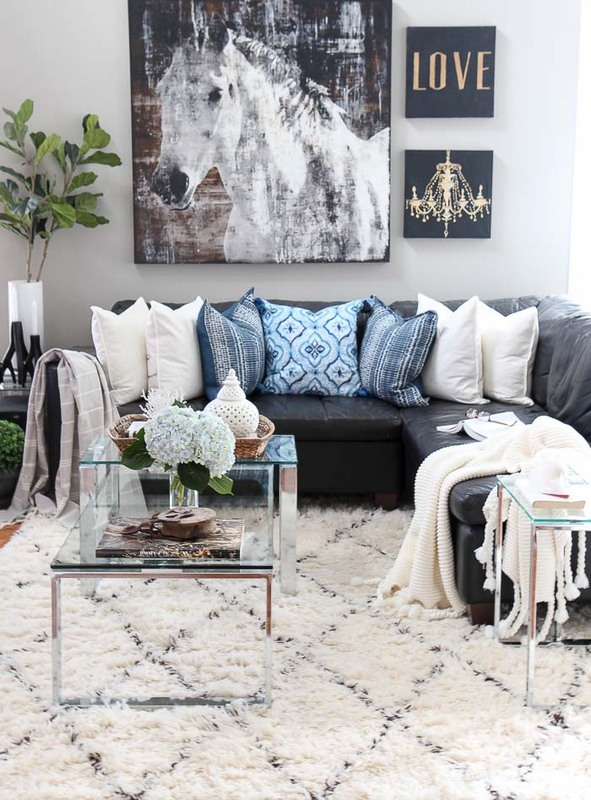 I used white to go with my summer home decor and because I love white! kitchen open shelves, kitchen island, dining table, living room coffee table, bookshelf, TV built ins, mantel built ins or a bedroom. 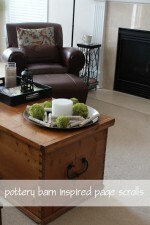 Doesn’t this centerpiece look pretty in my foyer? I really love it!! I think it looks so beautiful with my indigo blue, black and gray color scheme that I’m using right now! I love how quick and easy this centerpiece is to put together too!! 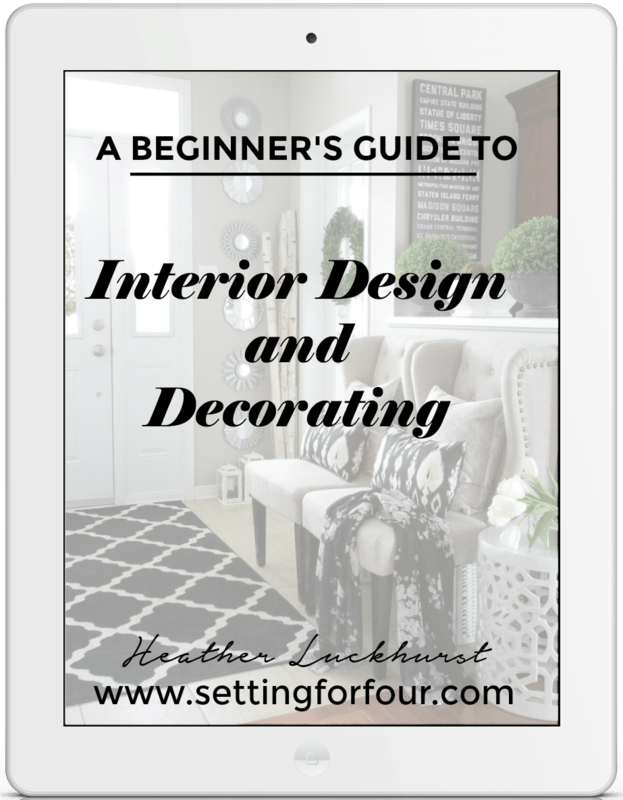 Quick and easy summer decorating is the BEST! 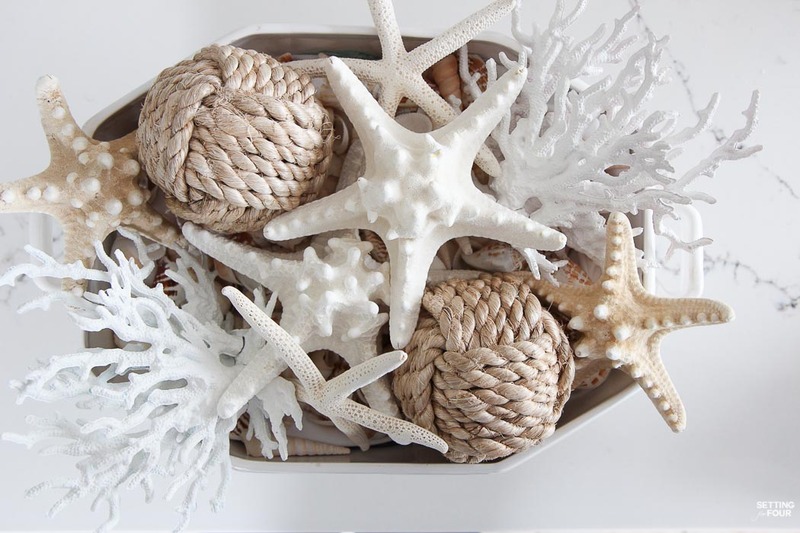 I hope you enjoyed my tutorial on how to make a pretty faux coral & starfish coastal summer centerpiece! Will you make one for summer? Now grab a cup of coffee and head on over to House by Hoff to see her DIY Five Board Bench! These are the 12 Beautiful DIY Summer Decor Ideas you’ll see in the blog hop! So beachy — and easy! That faux coral is fabulous. I’m making more of those coral objects Kelly – I’m sort of addicted to them lol! Thanks for visiting!! This turned out beautiful Heather!! Such great ideas! I just love this! That coral is gorgeous and the rope balls, so much great texture! Thank you so much Amanda! Have a super week! Thank you so much Taryn! Happy summer!! I love this coal design you did. 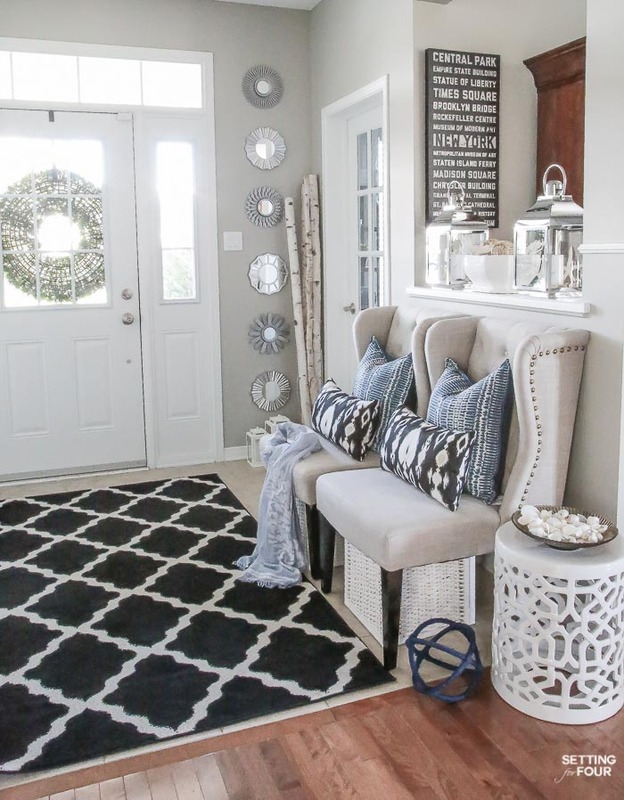 I can see several places a design like this would look beautiful in almost any room in our home. I too, love the rope balls.